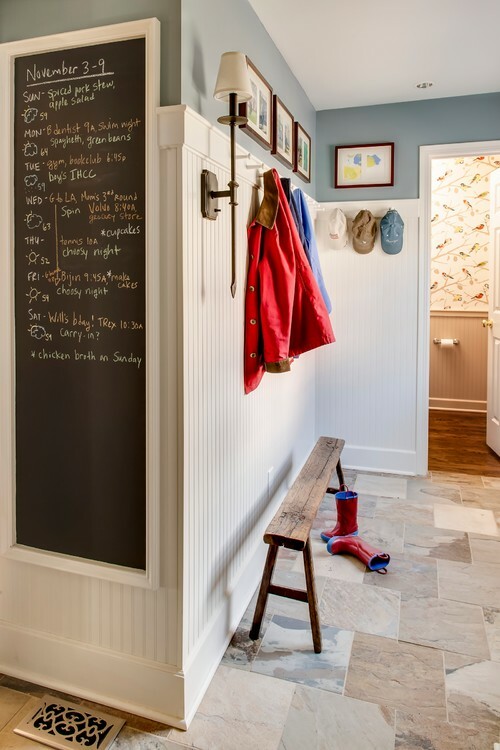 A calm and organized entry can help your family stay on track on busy school mornings. This is even more important for kids who have trouble staying organized or being on time. Read on for 9 sanity-saving tips to cut down on the morning chaos, and help propel your student out the door … hopefully on time and with their lunchbox! Assign a spot for small essentials. 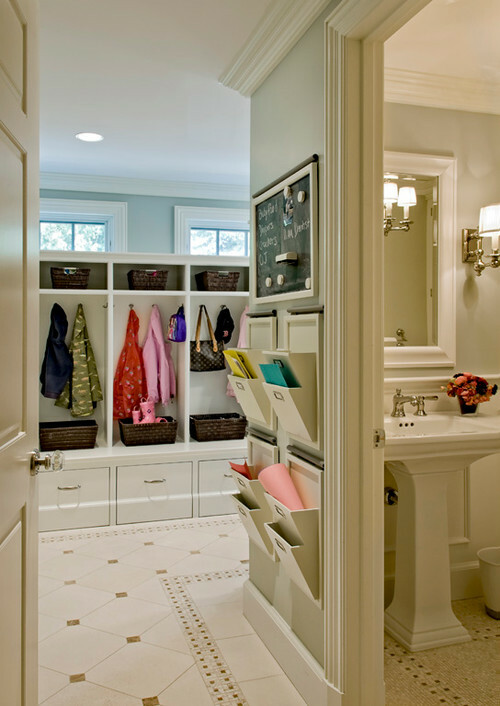 Kids aren’t the only ones who need help getting organized! 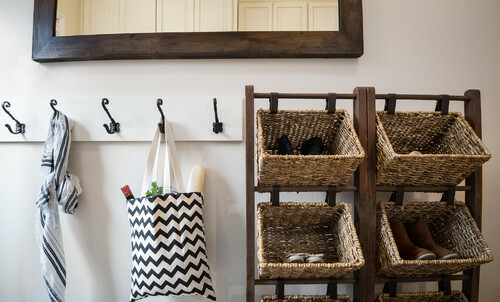 Building a solid habit of keeping your personal essentials (phone, keys, wallet) in the same spot near the door every single time you enter the house will help cut down on morning chaos. And bonus: Seeing you do this consistently will help your kids begin to cultivate this habit with their own essentials. Keep school papers organized with clipboards. Piles can easily get out of hand, and files can prove difficult to maintain (especially for kids). So what’s a parent to do with all of those handouts, permission slips, and homework papers? Consider clipboards. 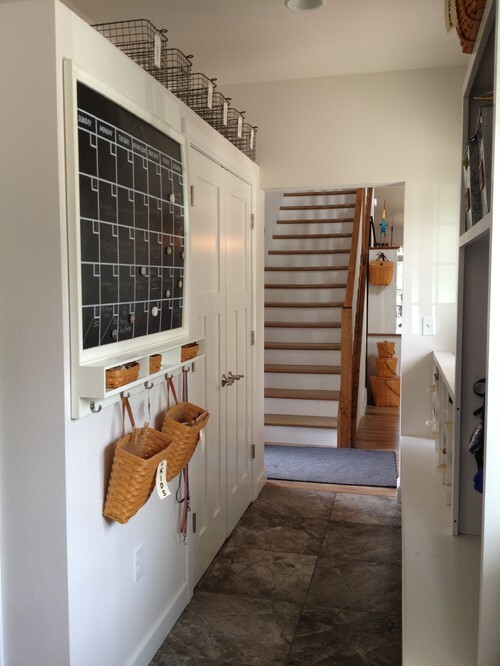 Hung on the wall, they take up little space, are easy to use, and keep things simply organized. Use a pair for each kid: one for incoming paperwork, and one for items that are ready to be turned in to the teacher. Earmark a spot to store library books. If your kids visit the school library each week with their class, you know how easy it can be to lose track of that library book. Hang a book basket (or label a shelf) for each child near the front door, and make a habit of putting the current library book in the same spot every time. Help kids remember routines and essentials with magnets. A set of magnets labeled with key items (backpack, lunchbox) and routines (eat breakfast, brush teeth) is a great way to get kids managing their own morning. Place the magnets on the left side of a magnet board (even a baking sheet will work), and move each one to the right when the task has been completed. 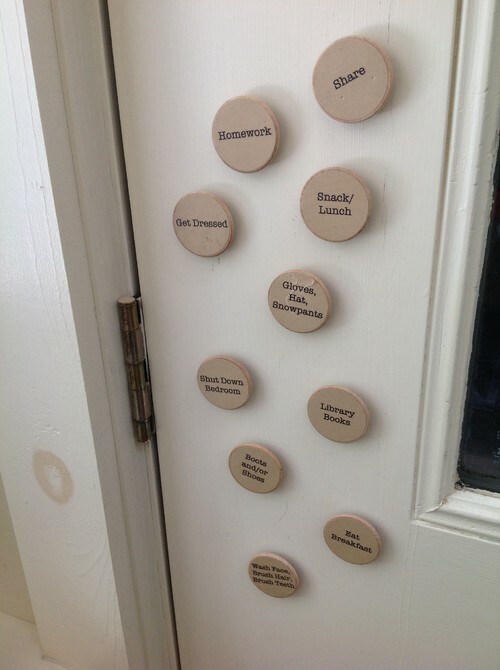 Personalize your own set by using a label maker or writing with Sharpie on plain magnets. Try a new shoe storage solution. Facing a pile of mixed-up shoes and boots can make the last moments of the morning scramble more frantic than it needs to be. A crate, cubby, or basket for each member of the household allows a certain amount of messiness (just dump them in the bin!) while still maintaining a basic level of organization, since each person’s shoes are kept together. If one bin is overflowing, you’ll know exactly who needs to put a few pairs of shoes away elsewhere. 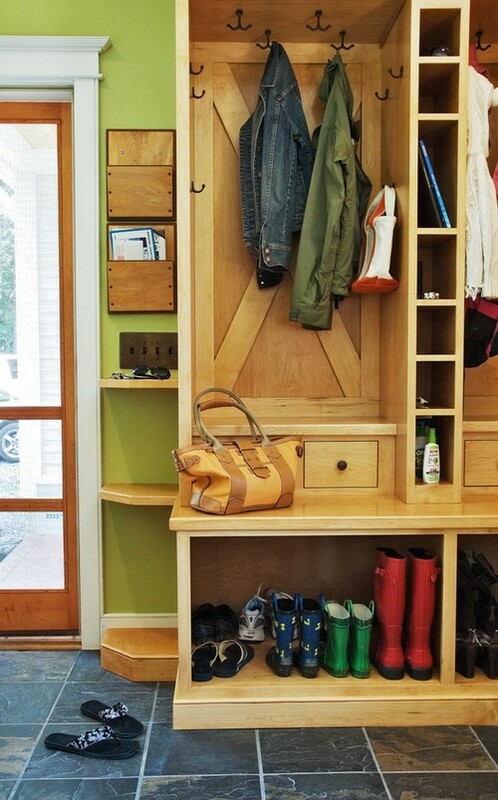 Keep coats and backpacks off the floor with kid-height hooks. What’s the first thing kids do when they walk in the door? Shrug off heavy backpacks and pull off coats. 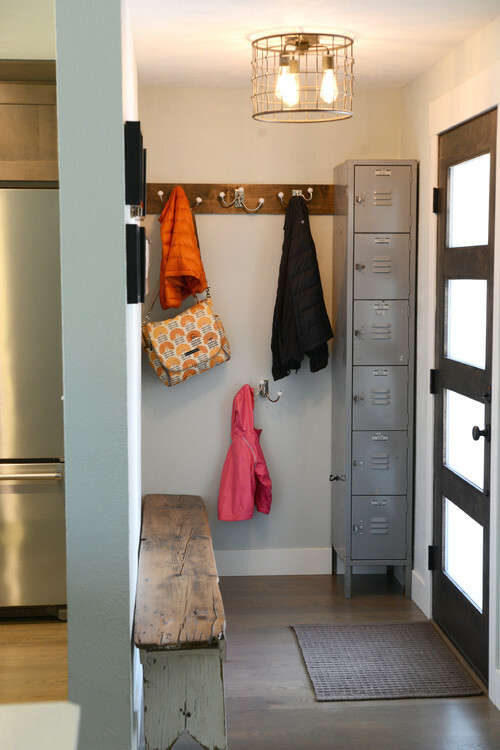 Coming home after a long day is a relief — make it easy for kids to hang up backpacks and coats by installing a few child-height hooks. Be sure to choose nice, sturdy hooks that can handle bulky winter coats and book bags. Make a practice of mapping out the week ahead. As part of your Sunday evening routine, aim to spend a few minutes reviewing schedules for the upcoming week. 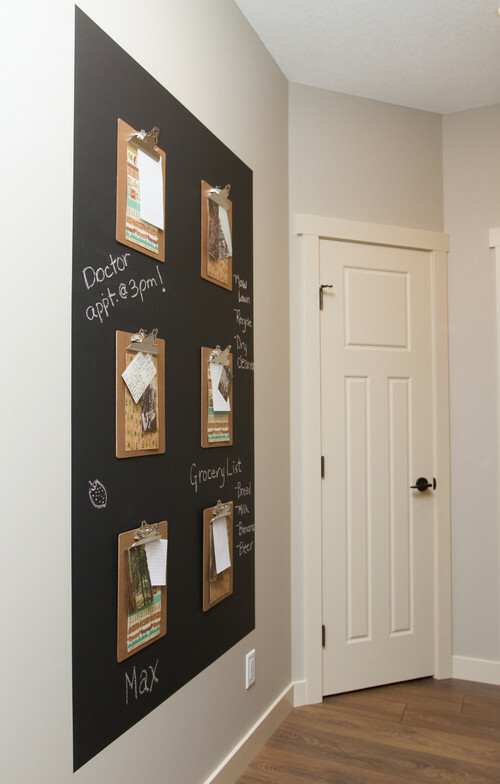 Be sure there’s a calendar or list of upcoming events prominently displayed in the entry. You can make it even more useful by looking up any pertinent information (like the weather or library hours) to note alongside the regular events. Store frequently used files in the entry. Instead of scrambling to find that school health form or insurance info for field trips, keep these items filed in wall pockets or folders right near the front door. Think about what else you might find convenient to keep close at hand, and tailor your front door folders to meet your family’s needs. Stash extras by the door. Whether it’s sunscreen, a hairbrush, or socks, having a spare set of items your kids seem to always be looking for on the way out the door is a smart move that can shave off a few (frenzied) minutes each morning. Tell us in the Comments: What’s the most challenging part of getting out the door on school mornings?